Some good news from our Backlinks service! We have recently updated it with an extremely helpful feature. No data will slip through your fingers now! The new ‘Lost & Found’ feature shows you information concerning the growth and reduction of your domain’s backlinks for a particular period. 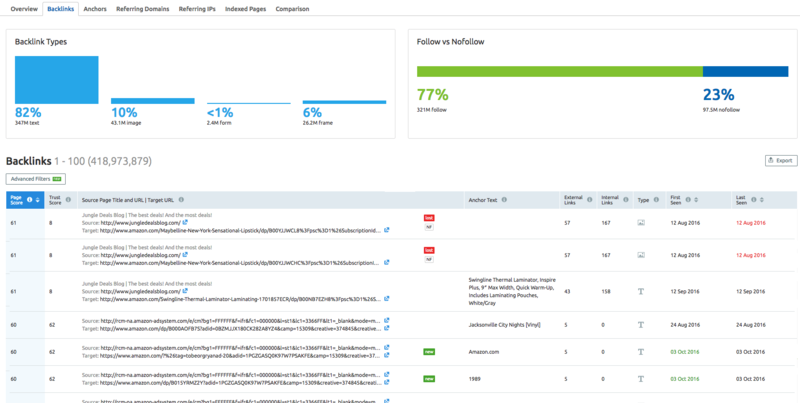 As you can see, new and lost backlinks are are shown in different colors. The dates these links were lost and found are marked the same way. And that’s not all! 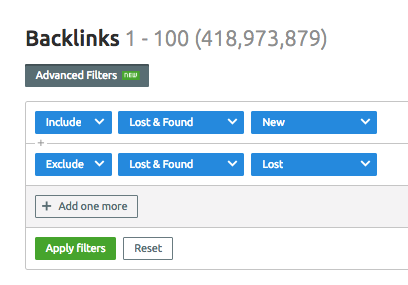 The new Lost & Found filter has been added to the advanced filters in the ‘Backlinks’ report, which will undoubtedly make your backlink monitoring easier. Now you’re able to filter new backlinks (those that were found less than a month ago and are notated in the color green) or lost (meaning the link or the entire page was removed, and notated in red).